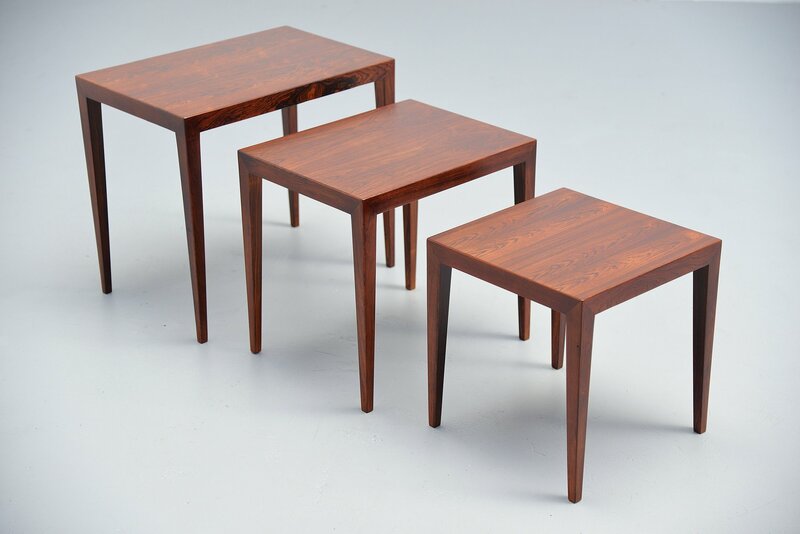 Very nice sophisticated set of nesting tables model 163 designed by Severin Hansen Jr. for Haslev Møbelsnedskeri, Denmark 1960. 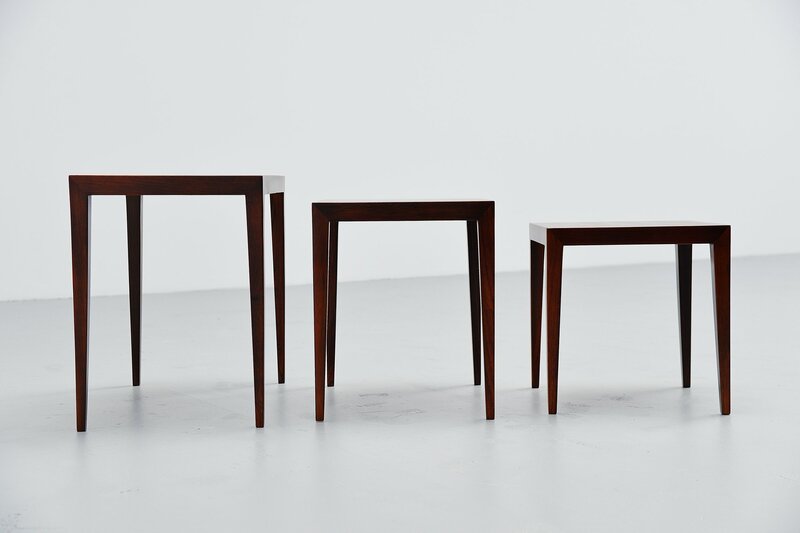 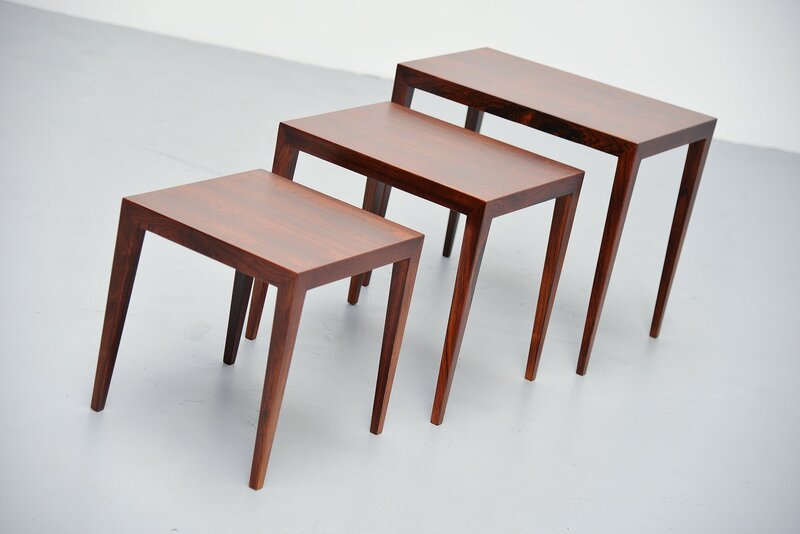 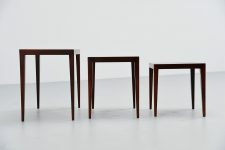 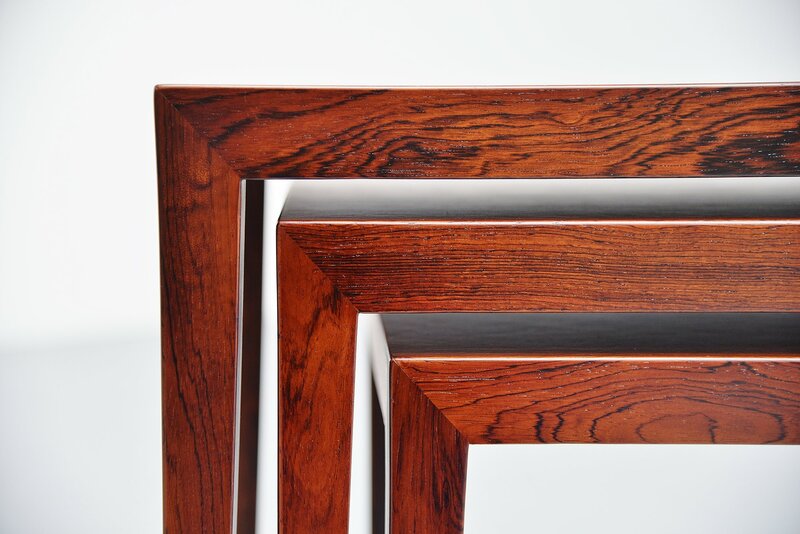 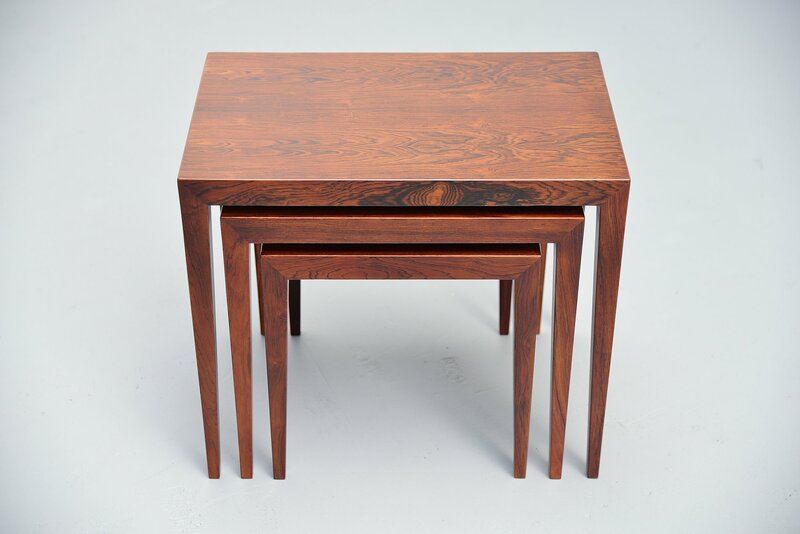 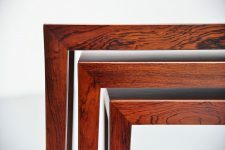 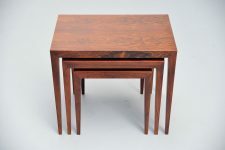 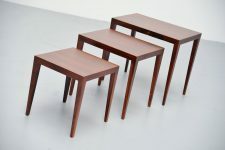 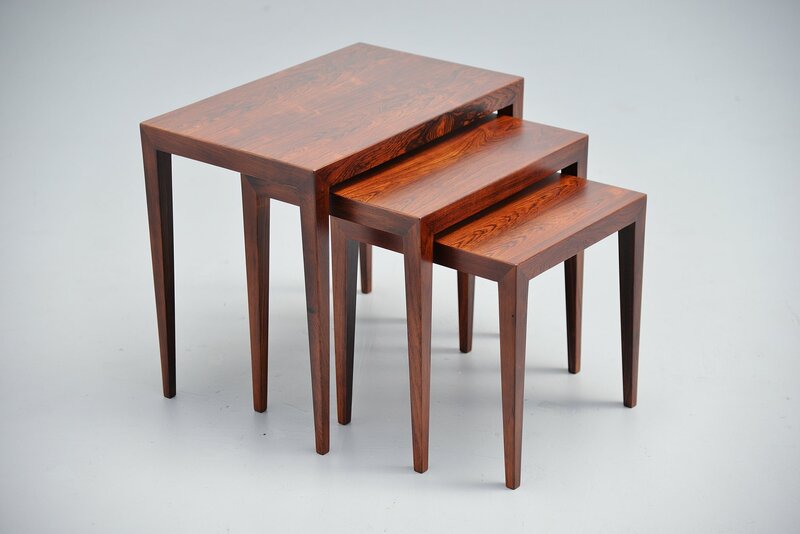 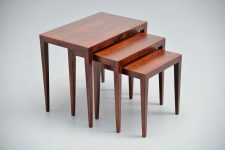 This nesting table set is made of very nice grained rosewood veneer and its amazing finished. 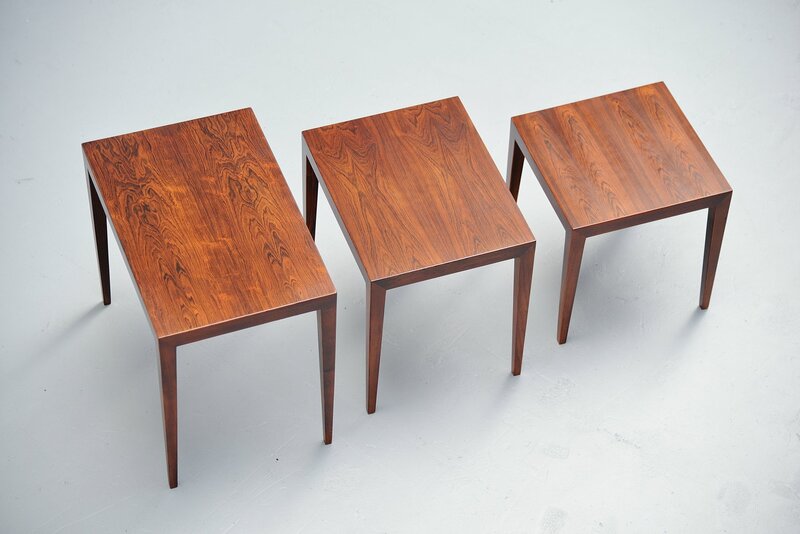 These tables show quality all over. 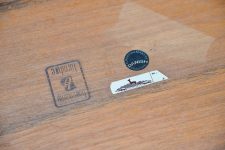 Marked with the Haslev sticker on the bottom. 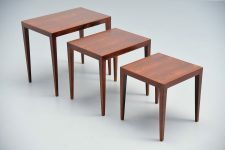 Distributed and sold by Bovenkamp Furniture in 1966. 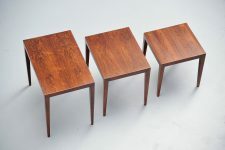 Complete set of 3 tables in different sizes, largest size measured.